Heavy-Duty Front Sway Bar for 2001-2010 Chevrolet and GMC 1500HD / 2500 / 2500HD / 3500 / 3500HD 2WD/4WD trucks, Chevy and GMC 2001-2013 2500 2WD/4WD SUVs and 2003-2009 Hummer H2 and H2 SUTs. Designed to reduce body roll so you have better vehicle control and greatly improves traction for safer driving. 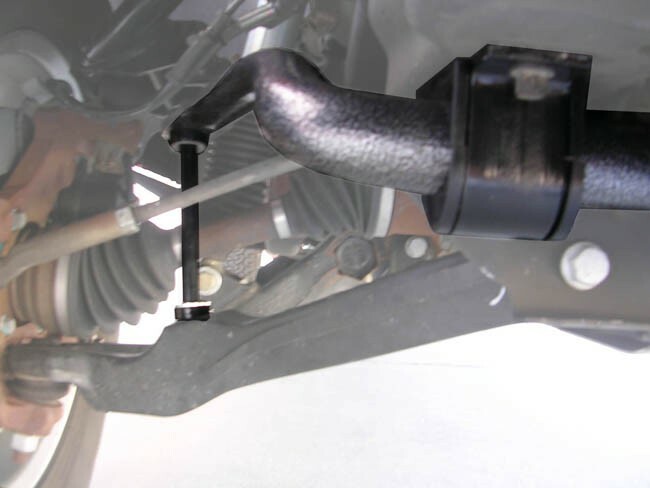 These HD Sway Bars are developed for this specific application. Measuring 1.5" in diameter and made from heat treated and hot formed 4140 chromoly steel for extra strength and durability. Larger sway bar clamps and polyurethane bushings are included. Made in the USA.